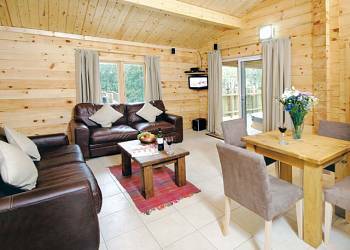 Quarry-Walk offers a range of luxurious holiday lodges that you can rent for your next self catering holiday. 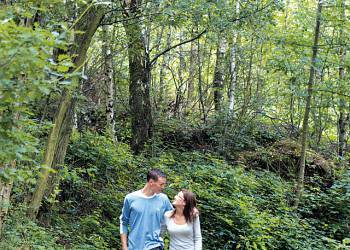 A haven for wildlife and visitors alike this park sits in 46 peaceful acres of woodland, grass and heather. Set off the beaten track, the log cabins sit amidst tranquil woodland trails and an abundance of flora and fauna.Quarry Walk is a perfect base for touring the area known as �the Potteries', situated between Alton and Cheadle, and just 6 miles from Uttoxeter with its race course.Within a 10-mile radius there are a large number of visitor attractions, including Alton Towers, Dovedale Valley and Shugborough Hall. Along the Calden Canal there is cycle hire and boat trips available, and rock climbing, hang gliding and boating are on offer at Rudyard Reservoir. 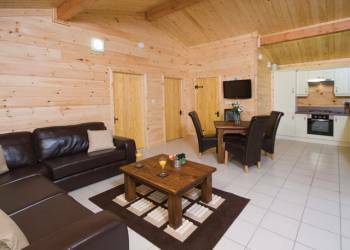 Quarry Walk has on offer cosy and comfortable log cabins and lodges with leather suites and stylish interiors. Quarry-Walk offers the following facilities. Launderette+ shop and barbecue area on site available for all dates. Stunning countryside, world famous attractions and a rich industrial heritage - enjoy them all when you stay in Staffordshire, a county known the world over as the location of The Potteries.Explore the fascinating story of Britain's most famous potters, Wedgwood, Doulton and Spode, at visitor centres and museums in Stoke-on-Trent, where you can also enjoy the work of modern potters too. Ale enthusiasts will no doubt appreciate a trip to the Bass Museum in Burton-upon-Trent, England's brewing capital.From the spectacular crags and dales of the Staffordshire moorlands to the outstanding natural beauty of Cannock Chase, you'll find great opportunities for walking and cycling and a whole host of exhilarating outdoor pursuits in Staffordshire. For a more relaxed experience of the countryside, why not hire a boat on the Calden Canal? Keen gardeners won't want to miss the unique Victorian gardens at Biddulph Grange or the glorious gardens at Shugborough Hall, seat of the Earls of Lichfield. And for white-knuckle excitement, head to Britain's premier attraction, Alton Towers and the thrilling rides at Drayton Manor theme. 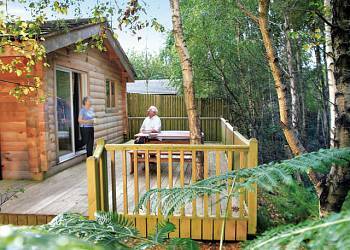 We would definitely recommend this site the lodge was fantastic very clean, it was also new when we stayed and so close to Alton Towers....the hot tub was great!! What a fab place, we really enjoyed it! Very close to Alton Towers and we had a great day out at the Splash Landing Water Park. 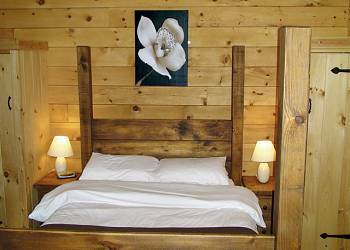 The Fox Lodge was great value for money and was very nice and had everything you needed. The hot tub was like brand new and it was a very clean. We will be going back in the New Year! 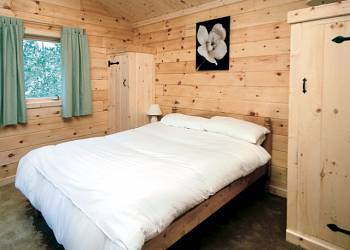 We stayed in Fox Lodge 6 at Quarry Walk, the accommodation was absolutely beautiful and well maintained, perfect for a nice relaxing break. The park was also in easy reach of local attractions such as Alton Towers if you need something a little more exciting than just relaxing. After a long day at Alton Towers it is nice to come back to a lovely dip in the hot tub, Heaven!!! Very peaceful site. 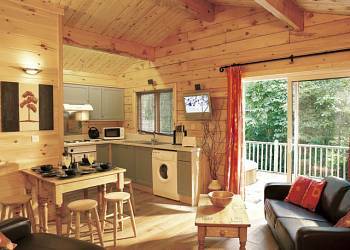 Log cabins were furnished to very high standards and the hot tubs were amazing. The site was lovely and clean and staff very friendly. The welcome at the reception was very polite, a member of staff came round explained how things worked and answered questions. The lodge was very clean and had all the items you needed and extras. The hot tub was great after a long day out to rest and relax in, and the advantage of a dishwasher (with tablets supplied) was a bonus as this was a job less you had to do everyday. We as a family are looking forward to booking another visit to this place in the near future. We would highly recommend this place to family and friends. Having a disabled son this was the perfect place to relax. The hot tub just five steps from your living room was heaven. If you want a base for the theme parks, most attractions are from 10 mins to 1 hour away. Very quiet and relaxing - great accommodation - Hot Tub was loved by all - will be re-booking soon - Thank you. Absolutely Fabulous stay at Quarry Walk. This was our second visit and we had some friends there at the same time so was 8 of us in total. Staff were supurb and even came down to make an extra bed up for us on arrival. Close to Stoke and Alton Towers and this was the main reason we went. Am sure we will all go back again soon. Would definately reccommend this holiday, the log cabin was beautiful and spotlessly clean. 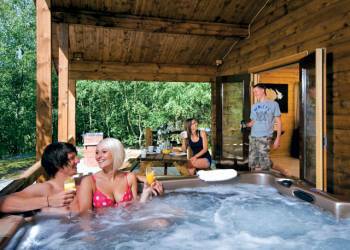 The use of our own outside hot tub was luxury and very good value for money. Would definately use Hoseasons and have this type of break again, thank you. Ideal for Alton Towers and local attractions, Car is essential as nothing much is local, apart from a pub which is around a 2 mile walk. 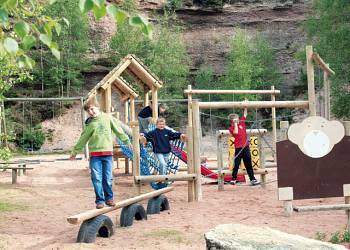 Have you been to Quarry-Walk? Please submit your review to so that others can benefit from your experience. Important note: Information provided here about Quarry-Walk is based on our best knowledge. However, please check with Quarry-Walk before booking to ensure that you have the information required. 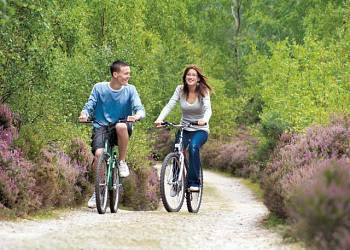 Reviews are the sole views of the contributor and do not necessarily represent the views of LodgeHolidays-uk.com or Quarry-Walk.